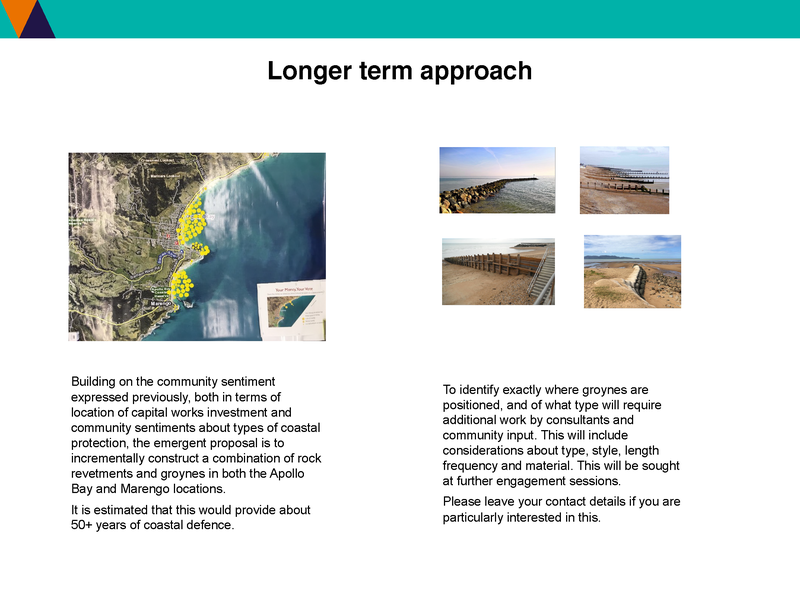 Stage 2 consultation is taking place on Friday 22 (2pm-5pm) and Saturday 23 (10am-1pm) March 2019. 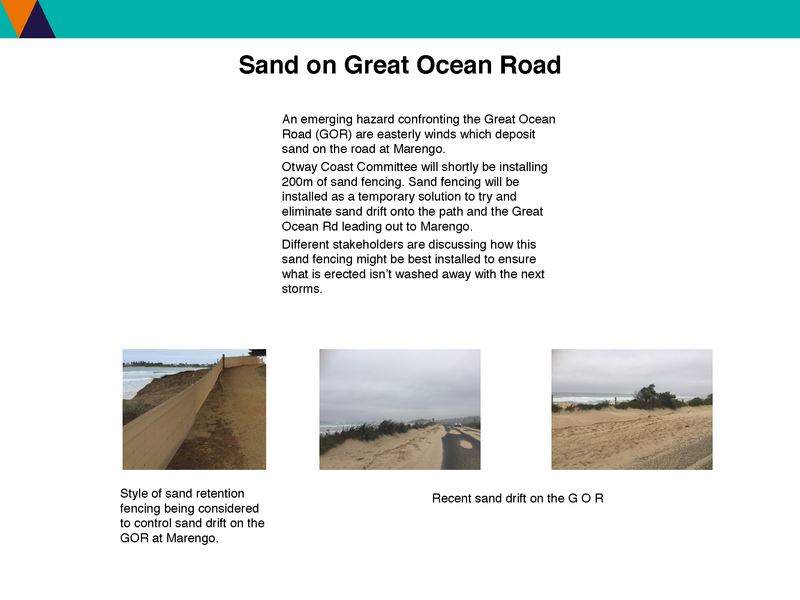 DELWP is working alongside the Otway Coast Committee (OCC), Colac Otway Shire (COS) and Regional Roads Victoria (RRV) to discuss community and infrastructure projects at Apollo Bay and Marengo. 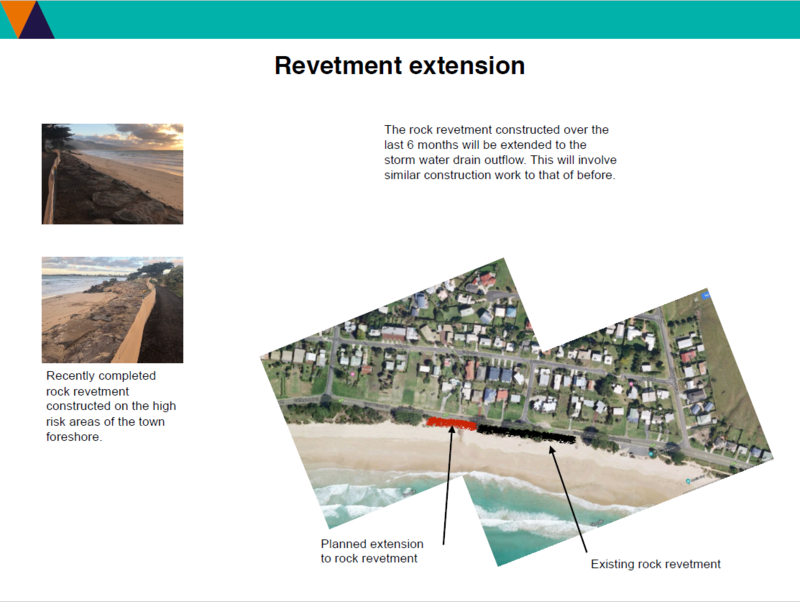 During Stage 1 consultation, held in 2018, we invited the Apollo Bay and Marengo communities to consider the various long-term approaches to coastal erosion following winter storms. 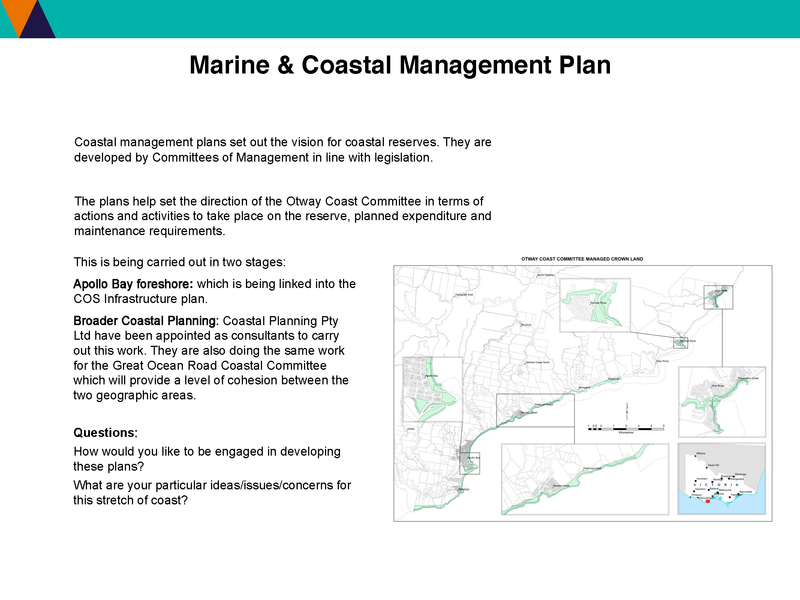 A summary of what we heard during the community consultation sessions is below. Stage 2 community consultation is taking place on Friday 22 and Saturday 23 March 2019. 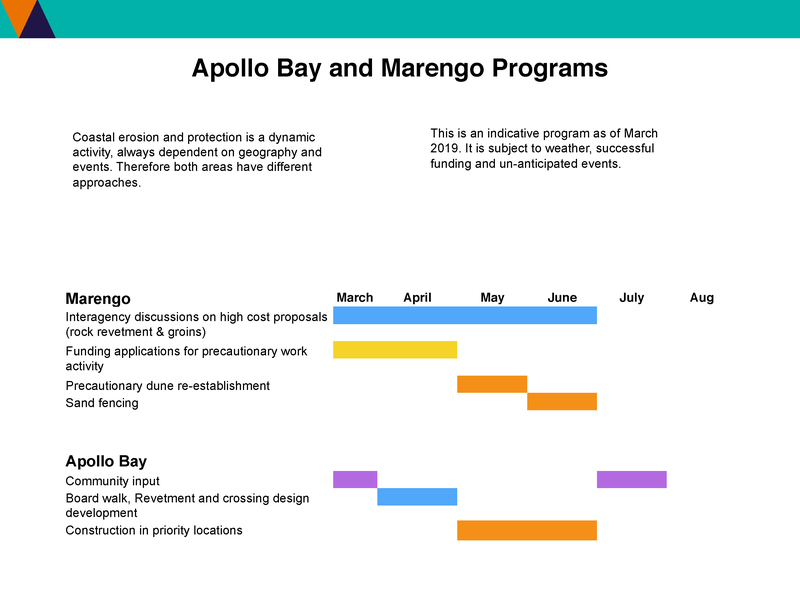 Community feedback will provide valuable insights for the agencies involved about projects in Apollo Bay and Marengo and will inform the future decision-making process, to ensure the community’s voices are heard and understood. To keep up to date with the project, select the "Follow" button above. 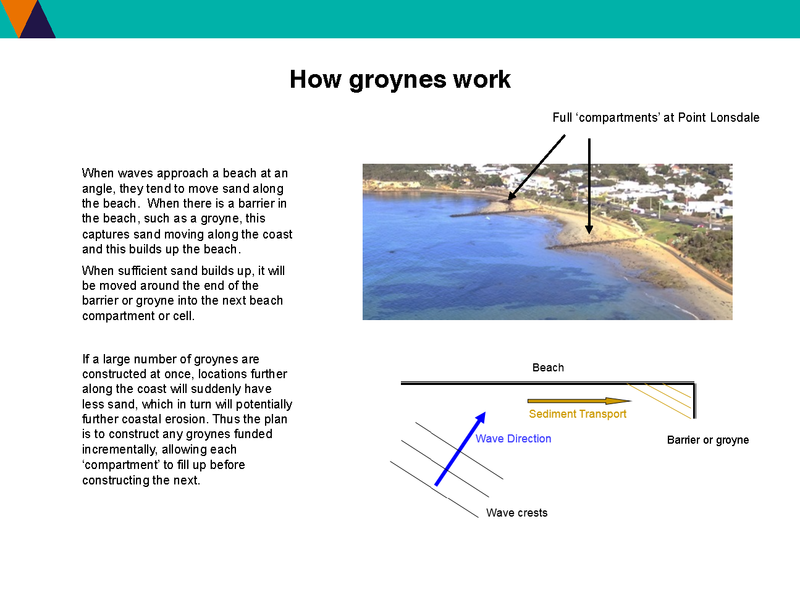 We are seeking community feedback on beach access points along the Apollo Bay foreshore. Where do you want access points along the beach? 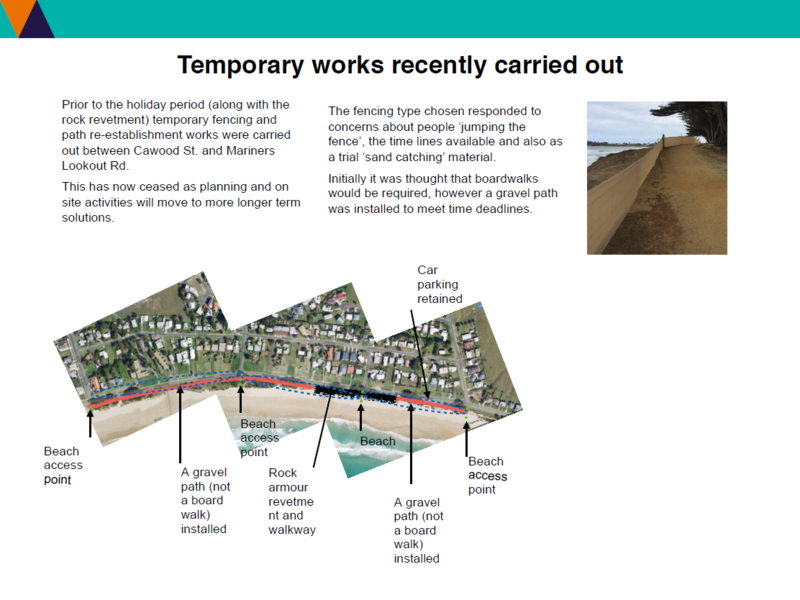 Which section of beach should the boardwalk be built on first? Drop a pin on the map below to share your preference. Arborist report commissioned for the maintenance of trees effected by erosion. Future consultation on erosion and inter-agency projects scheduled March, 2019. What We Heard document shared with the community following Open House sessions and online feedback.